We managed to reserve the seats a day before for free. From Tokyo to Osaka, if we seat at the seat D & E, we can have a good view of the Mt Fuji. 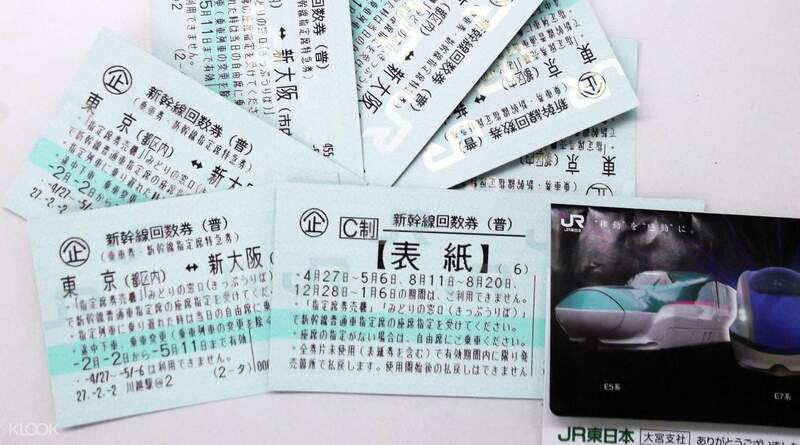 Are you in Tokyo and looking for a fast and hassle-free way of getting to Osaka or Kyoto? Then you’re in luck! 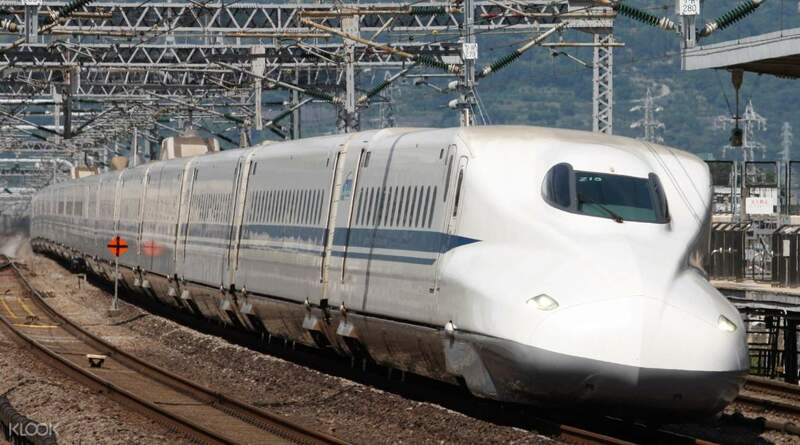 Reserve a ticket to ride the famous Shinkansen Bullet Train, which is considered to be one of the beast means of transportation because of its punctuality, the comfort that its seats and staff provide, the prioritization of your safety, and for its ridiculous speed. You’ll surely arrive at either destination in no time and you’ll get filmic views of Tokyo's countryside all throughout your journey! You don’t even have to worry about getting hungry or thirsty because small food carts are being pushed around inside and each cart has a wide variety of snacks, drinks, and boxed meals for you to choose from. This is a must if you’re following a strict itinerary for your Japan trip because riding this train will definitely save you some time. Book through Klook and get tickets to ride the famous Shinkansen Bullet Train from Tokyo to Osaka or Kyoto! The train is one of the best in the world and it’s famous for its punctuality, comfort, safety, and speed! highly recommended. saved us a lot of time in travelling from tokyo to kyoto. we had more tome to explore the city. we had comfortable seats and the train was so easy to access. highly recommended. saved us a lot of time in travelling from tokyo to kyoto. we had more tome to explore the city. we had comfortable seats and the train was so easy to access. It was great experience to ride a shinkansen... 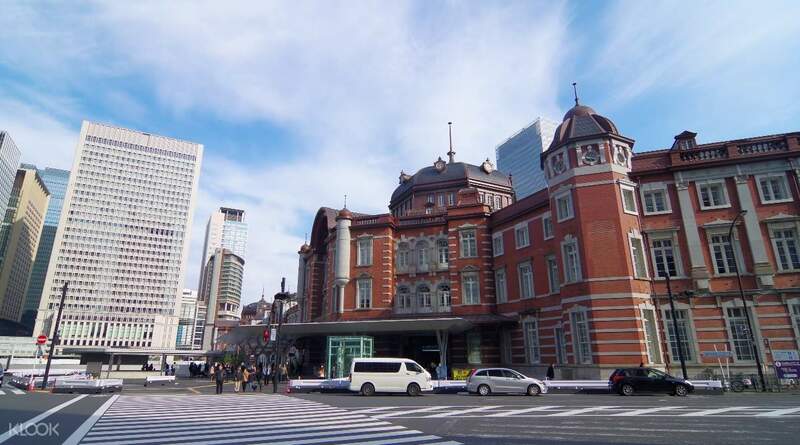 It leave on time and I arrived in shin osaka station on time. It was great experience to ride a shinkansen... It leave on time and I arrived in shin osaka station on time. What a great experience! It’s so easy to get the tickets and when staff saw Klook voucher, they knew exactly what to do, no questions were asked what so ever! Highly recommended!! Seats are pretty big and theres a lot of space between them. What a great experience! It’s so easy to get the tickets and when staff saw Klook voucher, they knew exactly what to do, no questions were asked what so ever! Highly recommended!! Seats are pretty big and theres a lot of space between them. We are so happy we took the Shinkansen instead of flying to osaka. Tickets were easy to claim at haneda airport. On the day we took the Shinkansen, we just lined up and booked our reserved seats. Good thing, we already bought our lunch because when we got to the window, our train was leaving in 10 minutes! Boarded the train, 2.5 hours later we were in Osaka. An hour later we were in dontonburi enjoying some street food! Easy breezy! Highly recommended! We are so happy we took the Shinkansen instead of flying to osaka. Tickets were easy to claim at haneda airport. On the day we took the Shinkansen, we just lined up and booked our reserved seats. Good thing, we already bought our lunch because when we got to the window, our train was leaving in 10 minutes! Boarded the train, 2.5 hours later we were in Osaka. An hour later we were in dontonburi enjoying some street food! Easy breezy! Highly recommended! overall, a fuss free experience but I feel that more directions could be given on the location to collect the tickets. FYI, if you are coming through T2, come out of arrivals and turn right till you see the counter. if not, ask the friendly guides standing around with a 'volunteer' tag - I had to do this he even walked me to the counter :') the train experience itself was fantastic. do sit on the right side to get a lovely view of mount Fuji. overall, a fuss free experience but I feel that more directions could be given on the location to collect the tickets. FYI, if you are coming through T2, come out of arrivals and turn right till you see the counter. if not, ask the friendly guides standing around with a 'volunteer' tag - I had to do this he even walked me to the counter :') the train experience itself was fantastic. do sit on the right side to get a lovely view of mount Fuji. Fast and very convenient way to Kyoto. Comfortable seats and ride. Exchange of tickets was so easy, encountered no problems. We had our trip scheduled earlier and no hassle encountered. Higlhly recommended. Fast and very convenient way to Kyoto. Comfortable seats and ride. Exchange of tickets was so easy, encountered no problems. We had our trip scheduled earlier and no hassle encountered. Higlhly recommended. Worth the money if you only travel from Tokyo to Osaka during your Japan trip. Collected thr exchange order at Narita Airport and also proceed to reserved our seats at JR counter located at Level 1! The Nazomi shinkansen seriously is a must if you are in Japan! Only 2 hours and 30 minutes from Tokyo and Osaka. you can also stop at Kyoto if you want! Worth the money if you only travel from Tokyo to Osaka during your Japan trip. Collected thr exchange order at Narita Airport and also proceed to reserved our seats at JR counter located at Level 1! The Nazomi shinkansen seriously is a must if you are in Japan! Only 2 hours and 30 minutes from Tokyo and Osaka. you can also stop at Kyoto if you want! Highly recommended. Easy to exchange ticket with friendly Chinese speaking counter guy. Fast and reliable! Gorgeous scenery along the trip. Highly recommended. Easy to exchange ticket with friendly Chinese speaking counter guy. Fast and reliable! Gorgeous scenery along the trip.